A large window over a Jacques. With the pileated woodpecker as our focal point, we designed a tree that is overgrown and untameded, giving us a three dimensional effect. 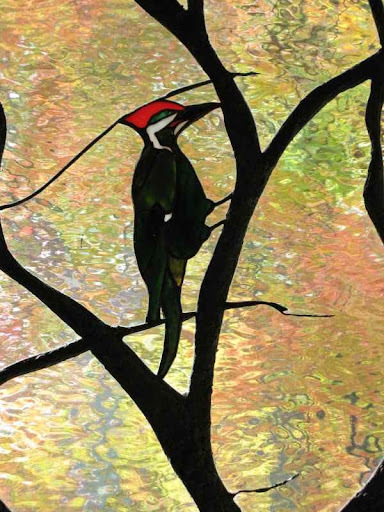 This creates interest in the large area around the woodpecker, with the iridized glass picking up on the colors in the stone which surrounds it.